Tuesday 11 – Thursday 13 June 2019, The Tron Church, Glasgow. 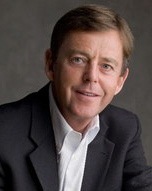 We welcome Alistair Begg, Senior Pastor of Parkside Church, Chagrin Falls, Ohio, to give keynote addresses this year. Alistair has been a great friend of Cornhill Scotland since its inception, and we are delighted he is able to join us once again for SOW. Rory Bell, Director of TnT Ministries, whose focus is on equipping to teach the bible to young people, is a regular teacher at CTC and PTC. He will give two talks helping us to teach biblical narratives well, to both youngsters and adults, and also a session on how to recruit teams well in our churches. William Philip chairs the conference, and this year will seek to expound some difficult/ ‘nasty’ narratives from the book of Genesis. Willie is Chairman of Cornhill Scotland, and Senior Minister at The Tron Church, Glasgow. The programme will include expository workshops led by experienced bible teachers, aimed at getting to grips with a book of the bible, or theme, working together to fuel our preaching and teaching for the future. Please ensure that you give a first and second choice of your preferred Workshops when you fill in the online booking form. We will contact you by email nearer the time with necessary details, and preparation for the workshops. Servants of the Word is a 3 day, non-residential conference, focussed on the practical tasks involved in the hard work of the staple of ministry: bible exposition and application. The conference also affords ample opportunity for fellowship and prayer – time together over food to talk, share and pray together about our ministries. The Conference is for active ministers, as well as those in training for ministry, and others in full-time bible teaching roles. It will be held at the premises of Cornhill Scotland and The Tron Church, at 31 and 25 Bath Street, Glasgow and will cost £135, with lunch and all refreshments included. The conference will run between 9.30am and 4.30pm each day. Places will be limited, in order to make this a really focussed and useful time of working together in the word of God, and sharing fellowship together as we do so. So please book early to avoid disappointment. We can only guarantee a place once payment has been received.